Heidi Cullen claims that summers in Bloomington, Indiana are going to get very hot, averaging well over 90 degrees. Her claim is 100% fraudulent, with no basis in science or reality. Summer maximum temperatures have been plummeting at Bloomington, Indiana. The frequency of 90 degree days has been plummeting at Bloomington, Indiana. The duration of heatwaves has been plummeting at Bloomington, Indiana. So is Bloomington a fluke? No. All of Indiana shows the same pattern. Summer maximum temperatures have been plummeting. The percent of days over 90 degrees has been plummeting in Indiana. Twenty-nine billion dollars a year of White House climate scam money buys a massive amount of fraud from both the private and public sectors, where people compete to tell the biggest lie about the climate. There are a few standards as to which I hold myself a ‘global warming’, ‘climate change’, ‘climate disruption’ or whatever suits the vibe of the day, sceptic. The first is that anything and everything is, can or will be blamed on the timeless aberration of climate. The second is called ‘publish or perish’. 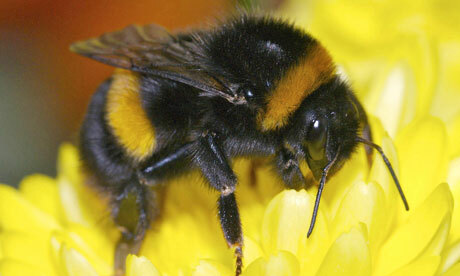 Congrats on citing ‘climate change’ as the premise of your study…Thanks to WUWT, it has now bee-n cited by millions! h/t The Register – A study published in Science claims that global warming is shortening the tongues of Bumble Bees, which may impact the ability of their tongues to reach the bottom of deep tube flowers.